TLC channel teams up with Singapore’s online cooking platform The MeatMen to present “Wok with Us”, a brand new cooking series that will take you to the streets of famous Southeast Asian cities while showcasing the simplest way of cooking the country’s iconic dishes. 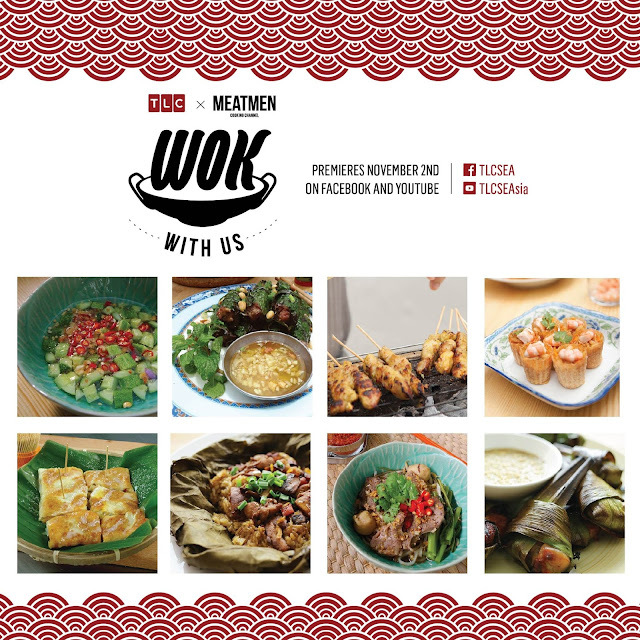 The series which is also a word play on “walk with us”, will see a wok-carrying chef visiting the streets in Singapore, Bangkok, Ho Chi Minh City, Manila and Kuala Lumpur, and cooking the local dishes in the great outdoors. “Wok with Us” is the second series in TLC’s on-going line-up to collaborate with local communities and talents, with the first one being “Food Fix with Erwan Heussaff”, a series of short-form vignettes, featuring popular Filipino personality Erwan Heussaff who shared his recipes and cooking tips. Stay tuned on TheHive.Asia to find out the mystery man behind the 24-episode series which is set to premiere online on TLC’s Facebook and YouTube pages on 2 November 2016, a week before the on-air premiere. How can I get this recipe? It looks easy and delicious. how can i get the recipe of the 4th dish?? ?